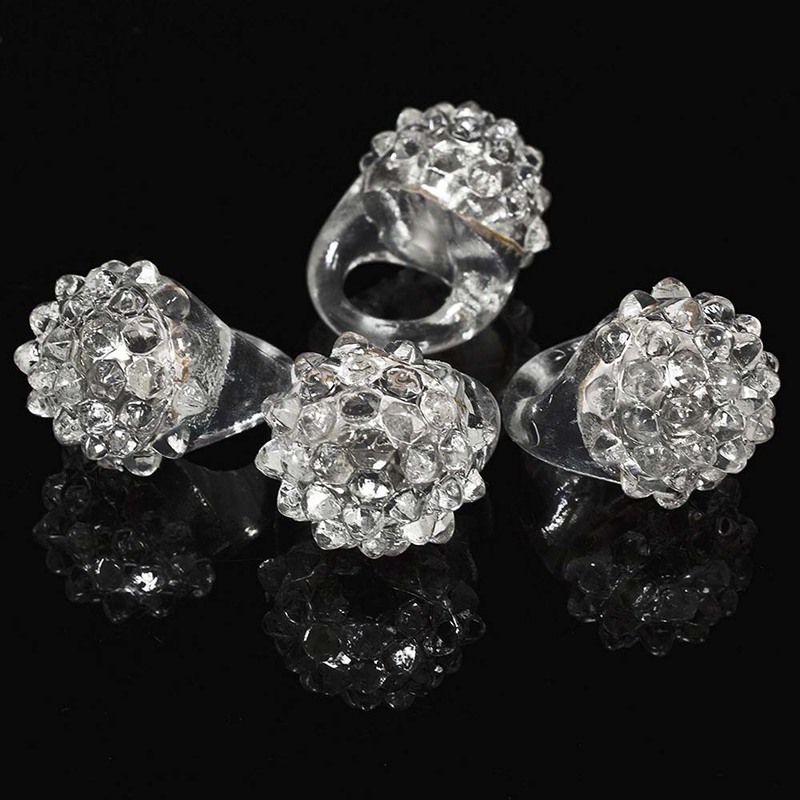 This is a Bulk/Wholesale Lot of 48 rings. 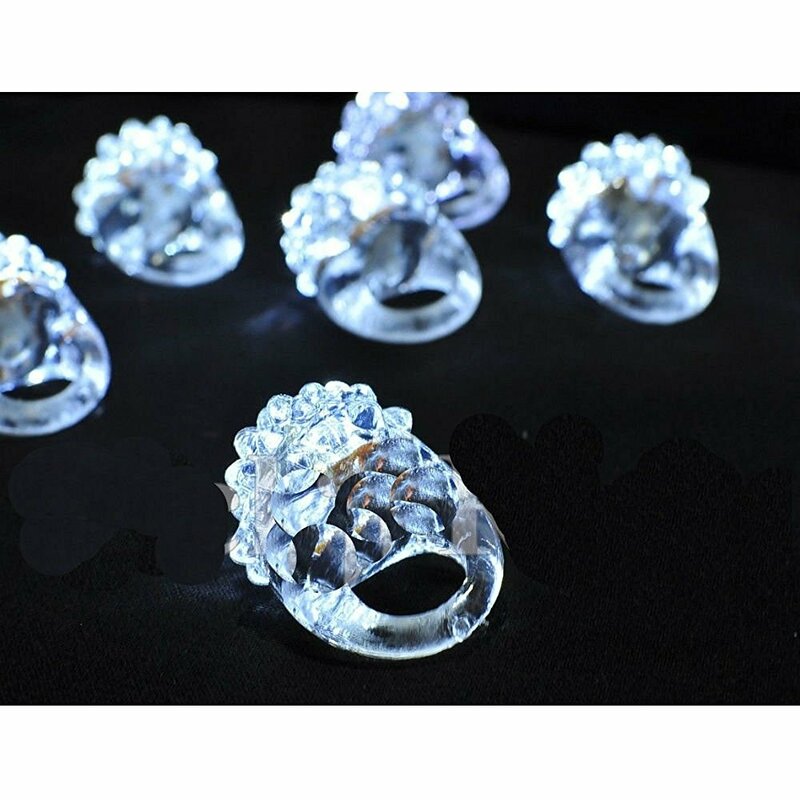 Clear rings with White LED lights, on/off switch and non-replaceable batteries. Perfect for Weddings! 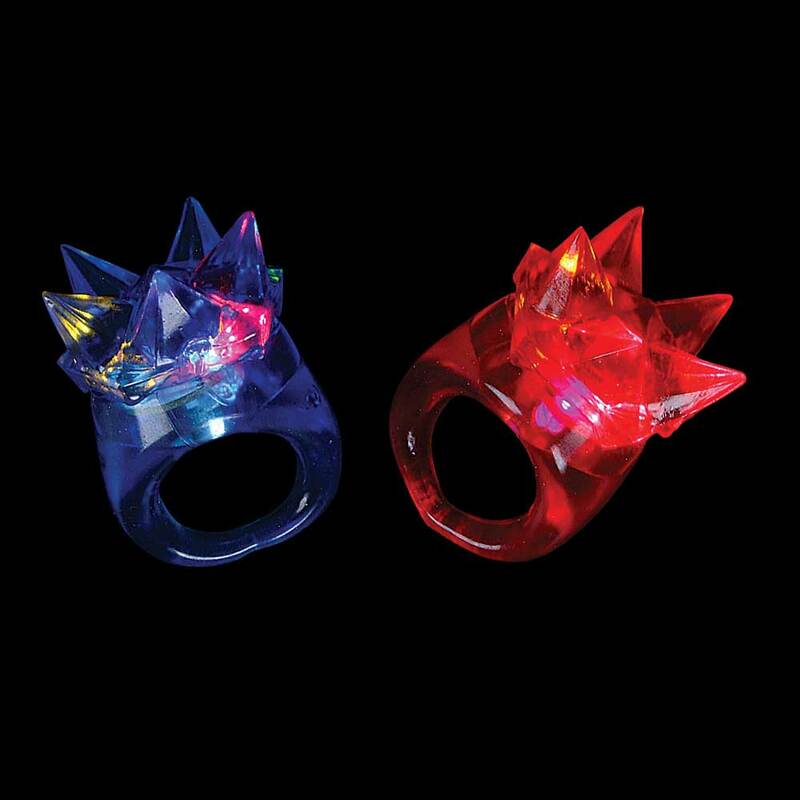 Jelly berry rings are super cool! They are soft and stretchable and lots of fun. Squeeze to turn on and off. 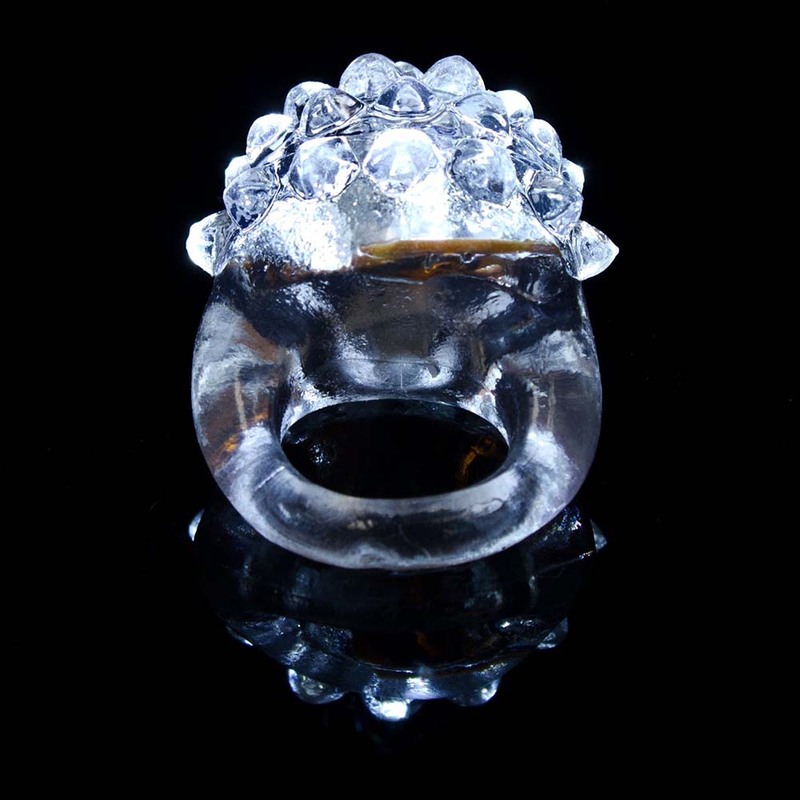 Jelly rings are clear with White LED lights. Safe and water proof. 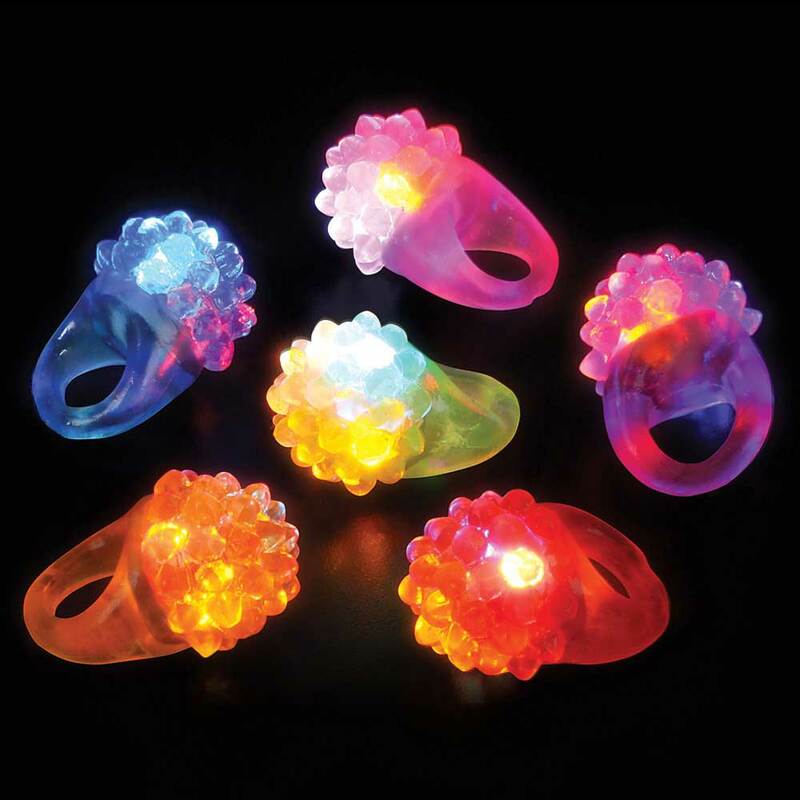 Get these white flashing LED jelly berry rings for your next party, wedding, club or rave! Batteries are not replaceable. Push button up from under the ring to turn on and off as desired. Stretches a lot! Great for weddings and other classy events!